Today's #blogmas14 prompt is about our favorite Christmas cookie recipe! I love to bake cookies and Christmas time is my favorite time to try out different kinds. 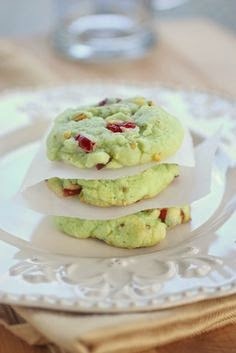 I found this cran-pistachio cookie recipe on Pinterest a few years ago and have made it every Christmas since. They're super easy to make because the recipe basically calls for a pre-made sugar cookie mix, packet of pistachio pudding, and cut up pistachios and cranberries. They're delicious, festive looking, and people are always asking me for the recipe! I also found a few recipes on Pinterest I would like to try out this year! 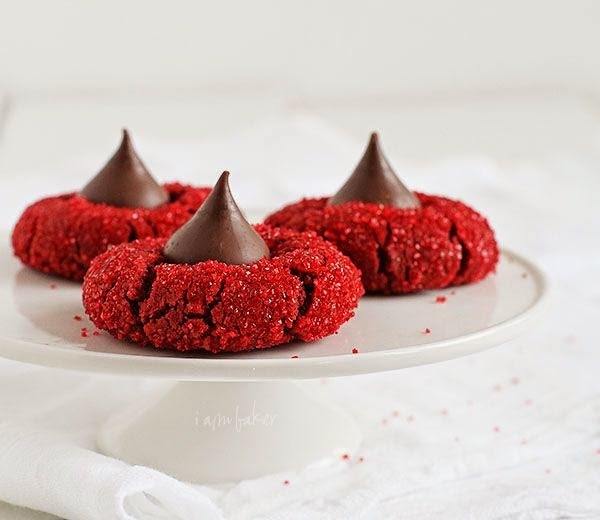 I love the regular peanut butter cookies with the kisses in the middle and thought the red velvet ones looks so pretty and festive for Christmas. And I'm a sucker for anything Oreo so those cookies were a no brainer. I'm hoping to make those both this year! 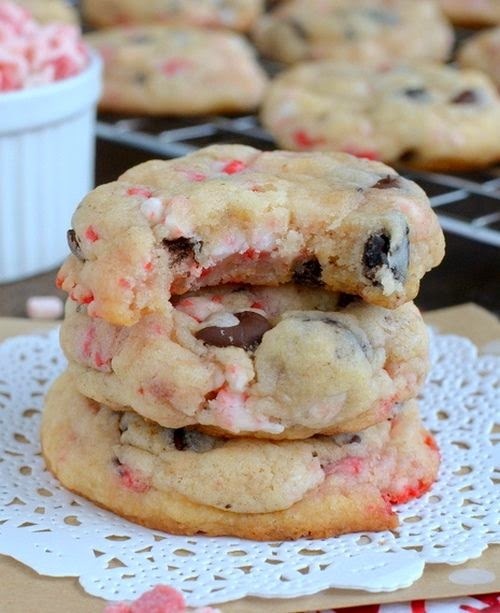 Let me know if you make the cran pistachio cookies or have made either of the ones I posted! I can't wait to see what your favorite recipes are. Thanks again to Tay & Ash for hosting! See you all tomorrow! all of these sound amazing! I'm sending the pistachio one to my dad--- i think he'd love them! Excellent! If anyone ends up making them please let me know what they think! Red Velvet Peanut Butter Blossoms.... my mouth just dropped. Such a good idea! Right? You still get the peanut butter taste but with the festive color! I hate that I can't think of these things by myself. I'm seriously lost without Pinterest. It's embarrassing. My mouth is officially watering…yummmm! !